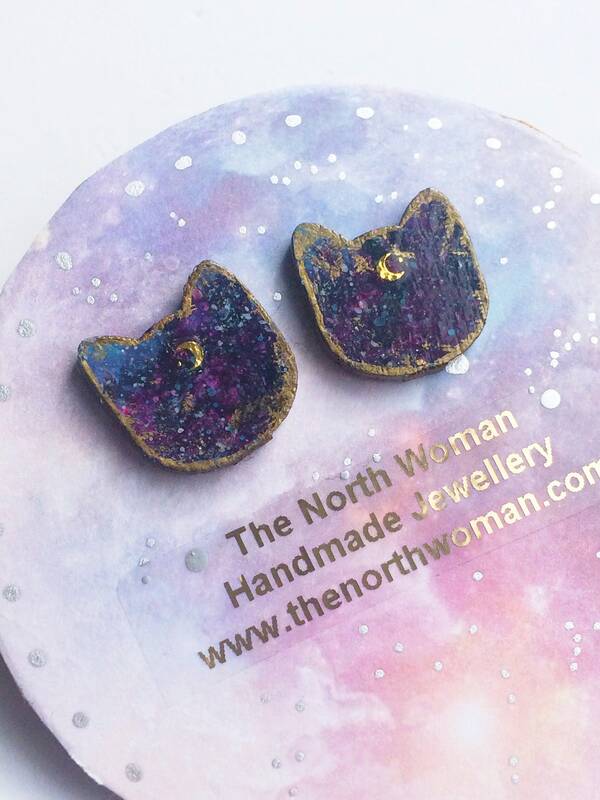 I am very excited to share my new feline jewellery creations with you. 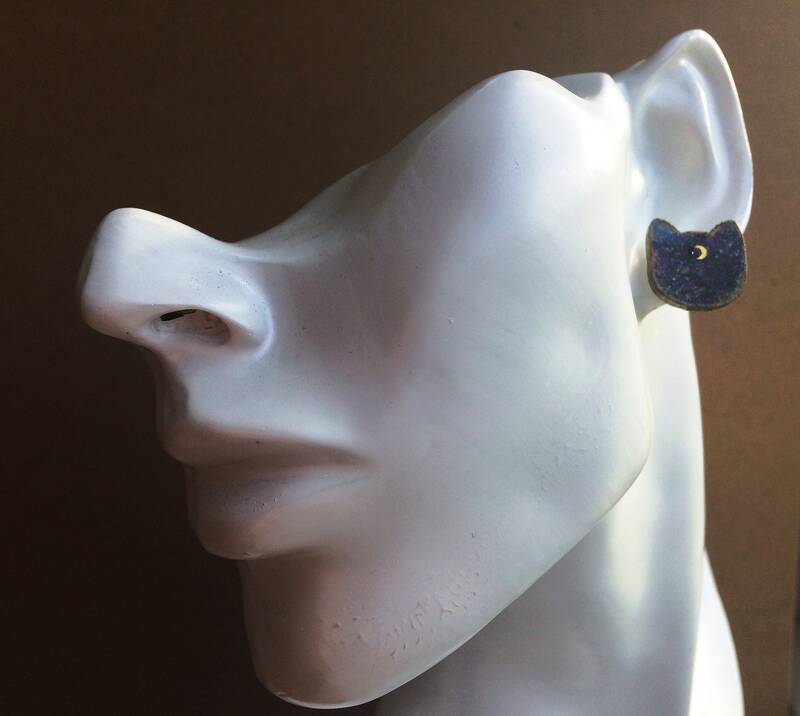 These designs are hand painted by me on a wood cut-out cat face shape. 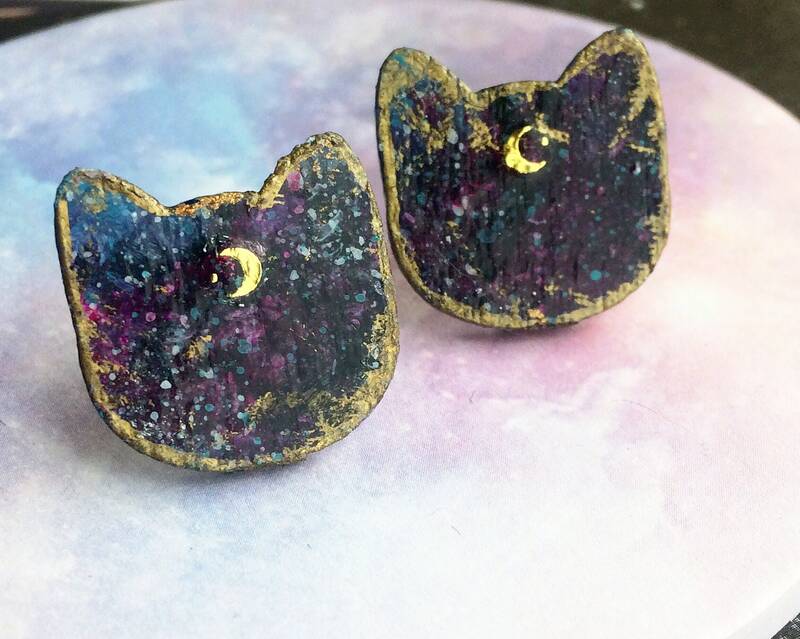 This particular pair shows a celestial crescent moon feline goddess! 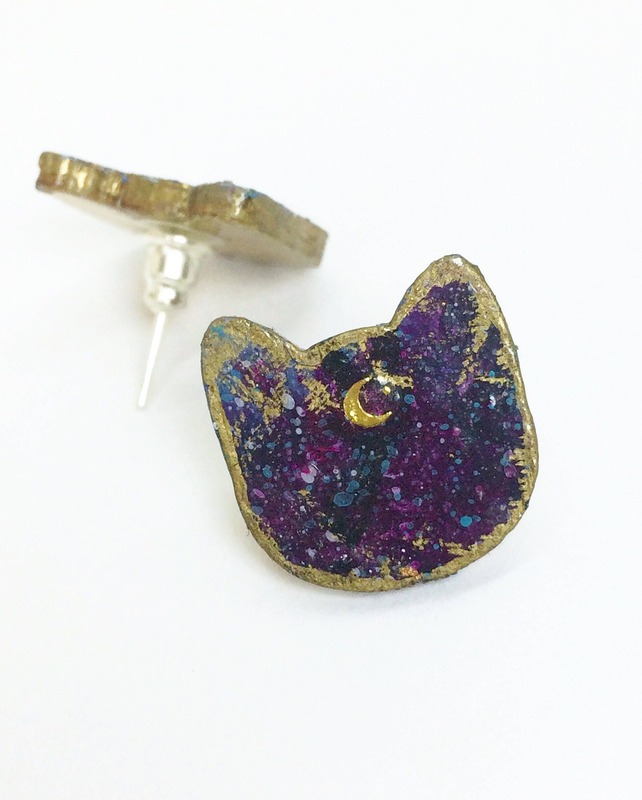 There is a purple-blue-black starry cosmos with a gold crescent moon and gold edging. 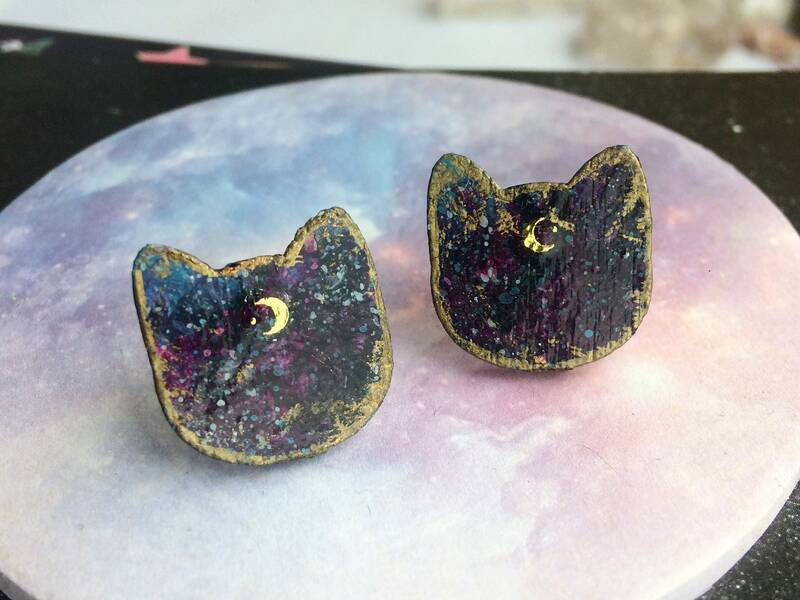 These earrings are totally unique and fun. They are painted on wood and thrice varnished for protection. The cat faces alone measure approx. 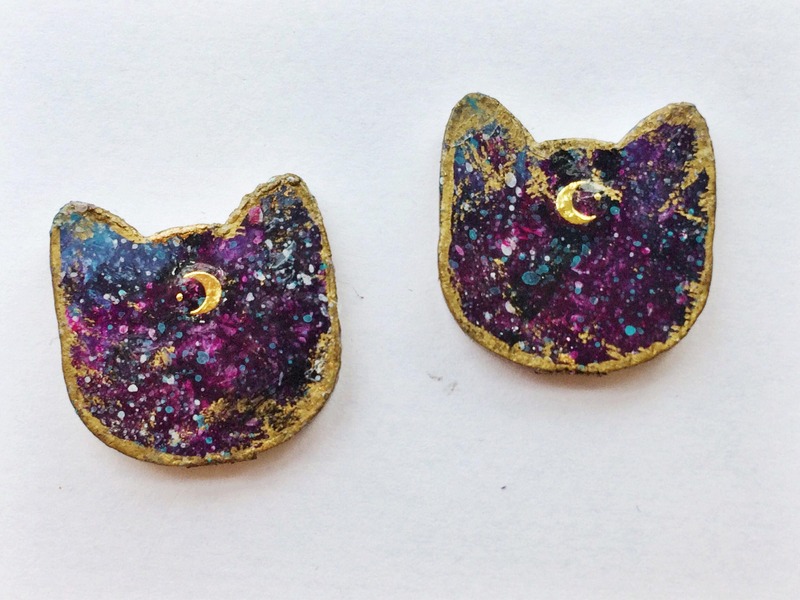 1.6x1.7cm. 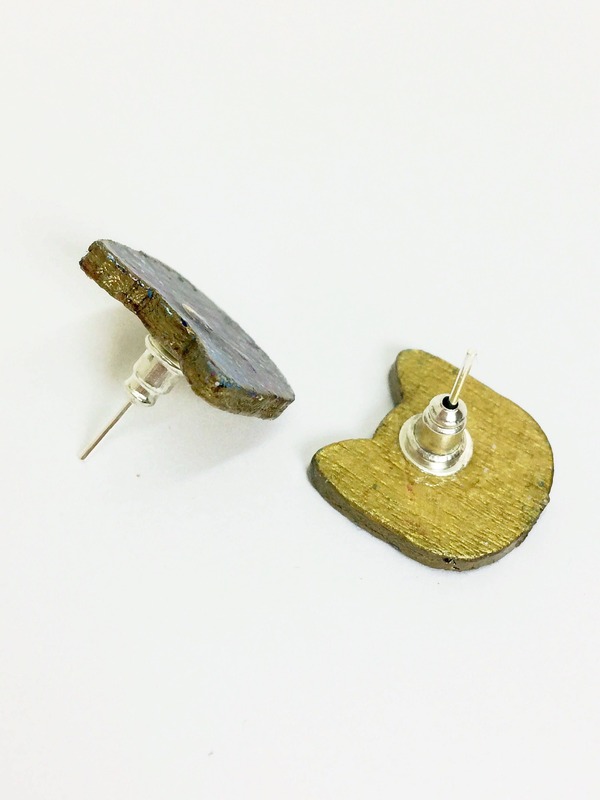 They are affixed to silver coloured stud earring backs and come with butterfly stoppers. 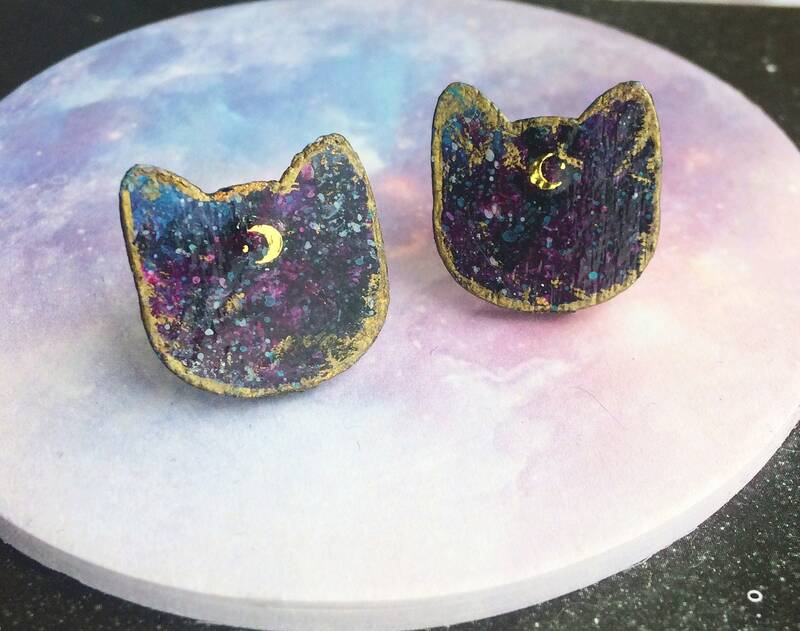 I have made a small range of cosmic cat jewellery, including some astrological ones for specific zodiac signs. 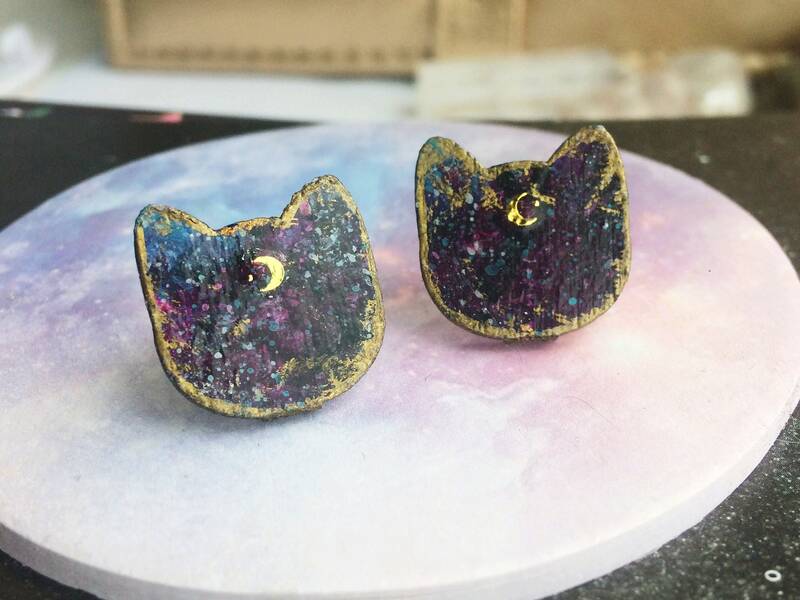 More to come soon hopefully and of course special commissions are welcome!